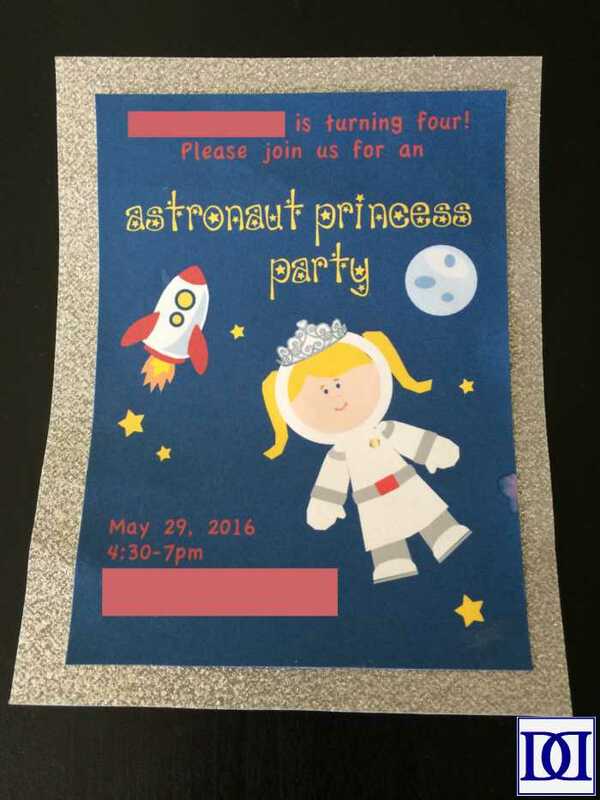 Yes, you read that correctly, “astronaut princess.” Or, at least that’s what my 3.5 year old told us when we asked her what she wanted to do for her 4th birthday party. We have been living in the “princess phase” for a couple of years so far, but this morphing princesses into other environments and characters has been an entertaining new trend. 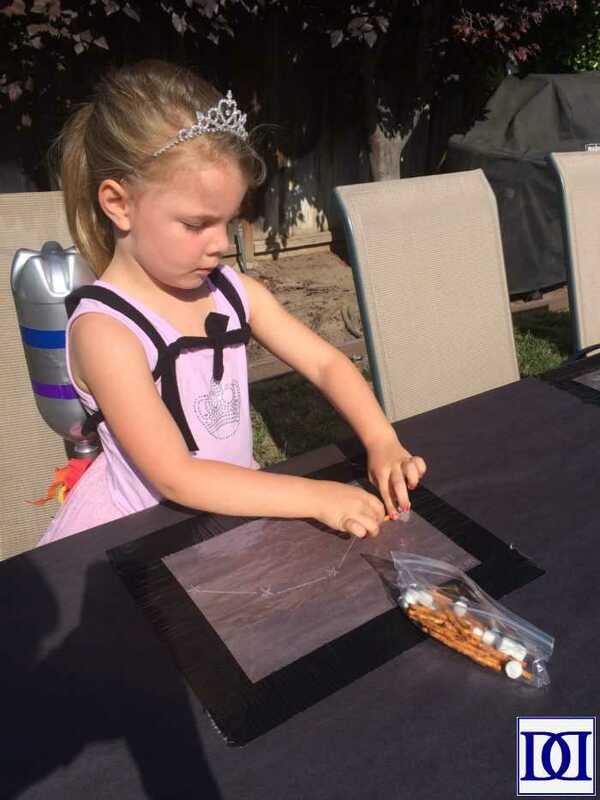 Having NO clue what an astronaut princess was/did/liked, this party was a wonderful opportunity for Jenna to let her imagination go wild and for me to revel in the amazing mind that I have living under my roof (and do a lot of crafting in the process). 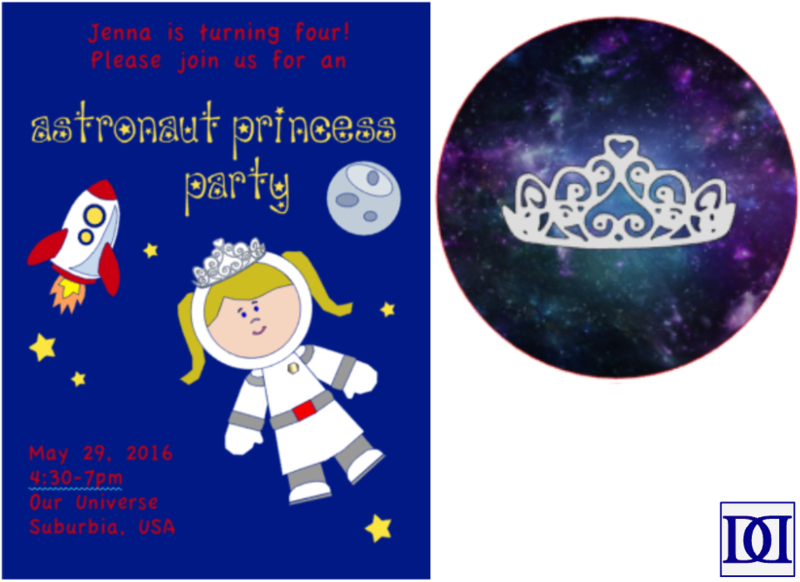 Join us on a galactic adventure of sparkly rocket ships, glitter stars, and bedazzled tiaras! 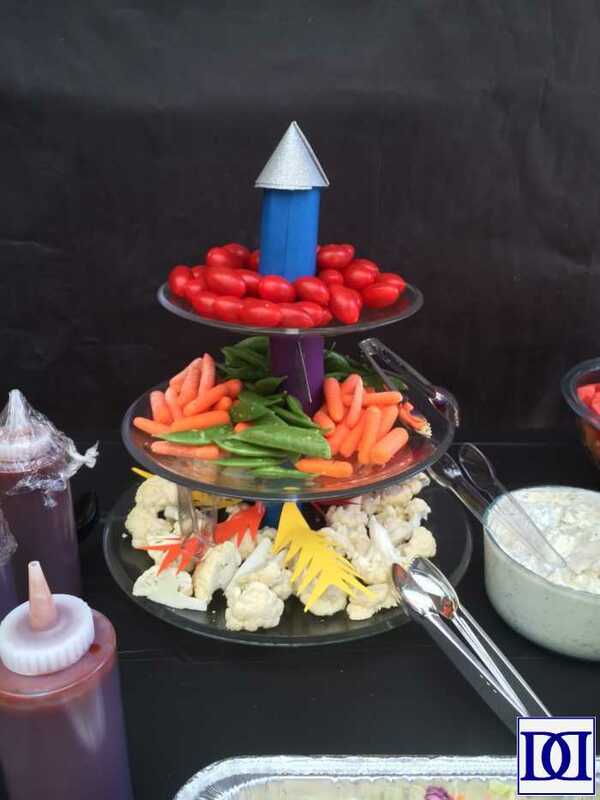 Whether you have a princess-y astronaut or not, I hope you find some ideas for your adventurous little one’s next party or just for fun on some lazy (read *stir-crazy*) day. It is surprisingly difficult to find feminine astronaut paraphernalia, and this statement rings especially true for invitations. Jenna also had some specifications herself about what constituted an astronaut princess that precluded many pre-made designs, mainly, that an astronaut princess wore a spacesuit that had a long skirt and a tiara. She was also hoping for a rocket ship and a planet (or orbiting body) that she recognized from our outerspace books. We attached the invitation to a piece of silver cardstock and sent them along their merry way! Jenna loved helping put the stickers on the back of the envelopes! Feel free to use a blank version of this invitation here and stickers here. About two weeks before her birthday, I asked Jenna what she’d like to wear for her birthday party so I could keep it out of the laundry rotation. She surprised me by having a very clear idea of what she wanted: astronaut costume, white “flower girl” underskirt, and a Burger King crown from the playroom. Ultimately, we decided to surprise her with a “real” tiara. 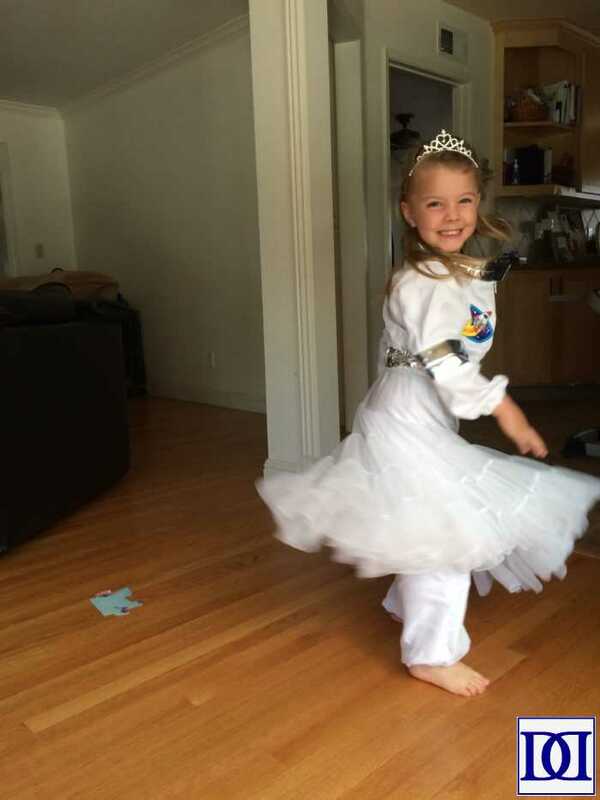 While it was too hot to wear to her actual party, she loved wearing her “astronaut princess” attire on her actual birthday and many other occasions (imaginary and otherwise)! 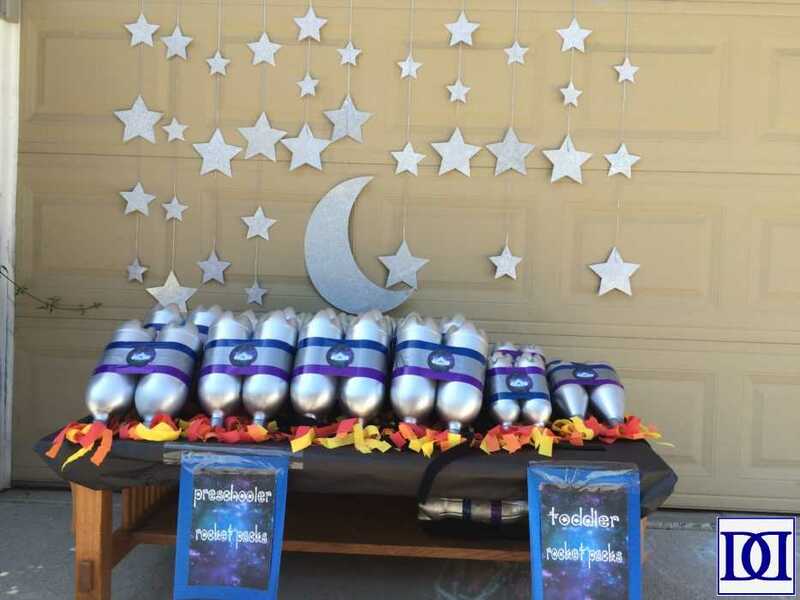 We wanted our guests to feel free to get into the outerspace state of mind, so we used our front yard/driveway as a transformation zone with rocket packs for the kids. 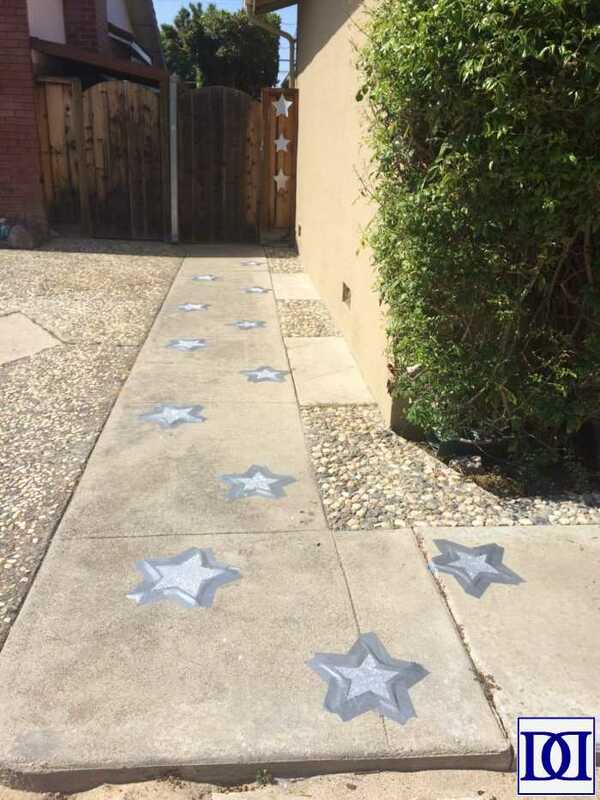 We also found this moon and stars garland that helped dress-up our driveway. We also thoroughly enjoy decorating our backyard pergola (it is especially convenient for hanging things). We bought paper lantern “planets” here and here and wrapped a couple with some wire star garland for a bit of extra shimmer and interest. 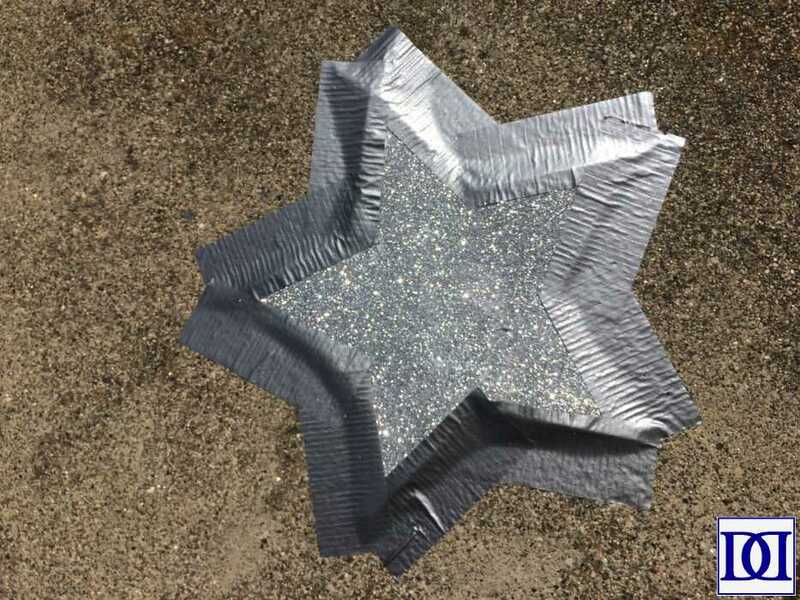 We also hung some Dollar Tree silver stars to create our own daytime night sky! While we didn’t get a great picture of these things before the party got going, John took a fun panorama of the backyard as guests were arriving. The last big decorative piece was the backdrop behind the food. It was surprisingly easy to make and was a really entertaining “quiet time” project for Jenna! I simply love making water bottle labels for parties (printables and tutorial available at the previous link)! 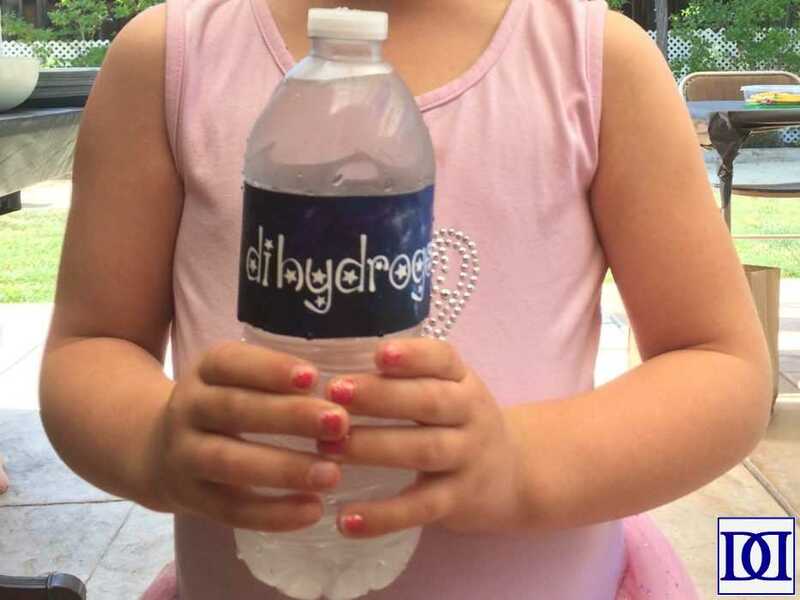 We decided to play on the scientific aspect of astronauts and labeled our water “dihydrogen monoxide,” which made for a fun teachable moment when Jenna asked what it meant. Given the fact that food smells can still set off my “morning” sickness, we decided to have the main foods catered, but I still got to make a veggie platter with some amazing homemade dip. (1) cut and tape cardstock strips to make tubes; (2) cut and glue cardstock triangles to make fins; (3) cut and glue cardstock cone; (4) cut and tape “fire” out of red, orange, and yellow cardstock. 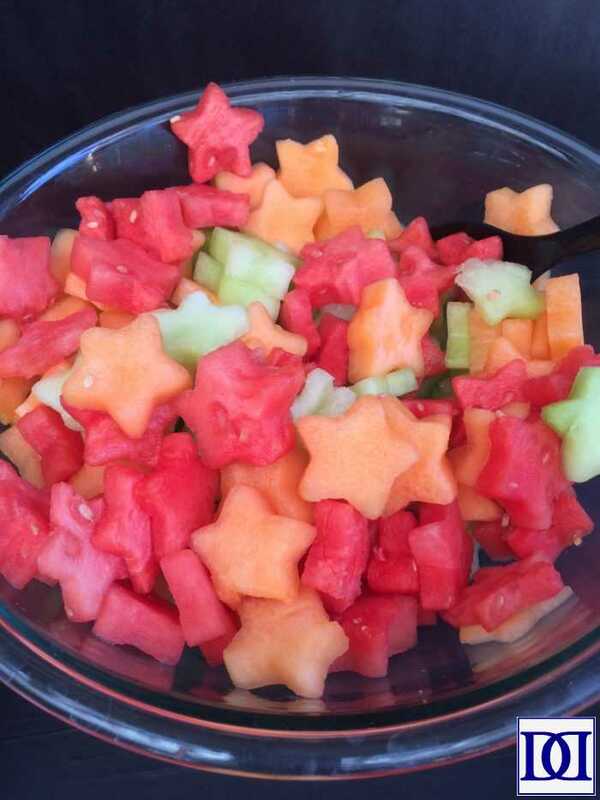 Jenna and I had a blast using cookie cutters to cut melons (honey dew, cantaloupe, and watermelon) into star shapes. Finally, we made chocolate cupcakes! While I wasn’t impressed with the recipe, I did think they turned out really pretty. I tinted icing with gel colors in a few different shades. 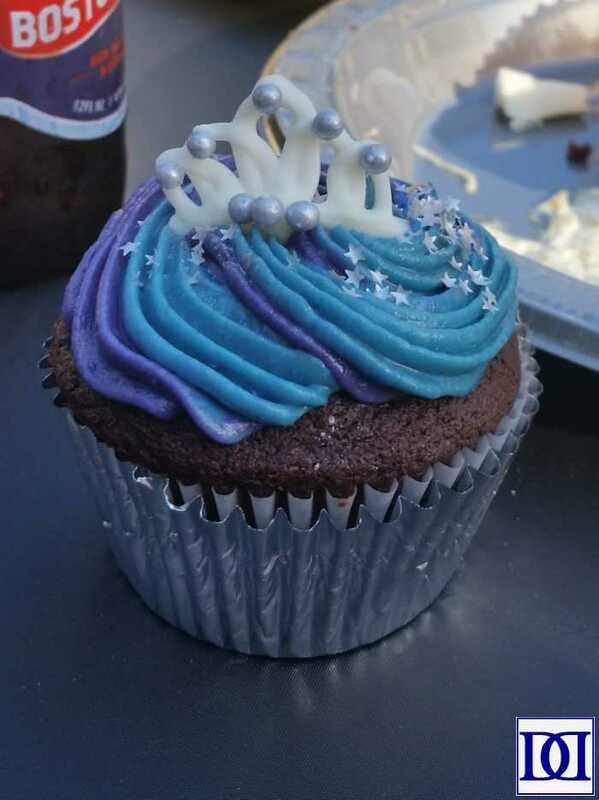 Then, following the instructions here, I iced the cupcakes and added silver shimmer dust, star sprinkles, and white chocolate tiaras (scroll down halfway for the tutorial). 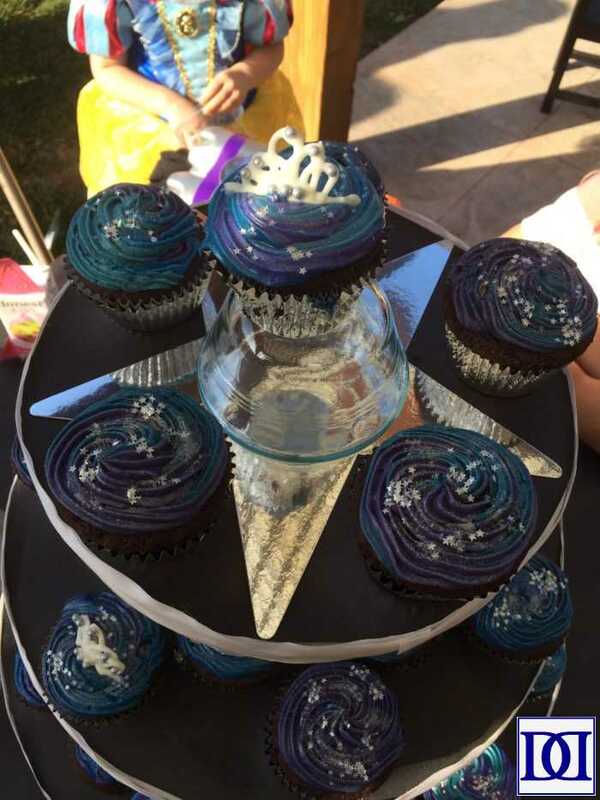 Incidentally, I love this homemade cupcake stand and thoroughly enjoy using it and redecorating it when I get a chance. 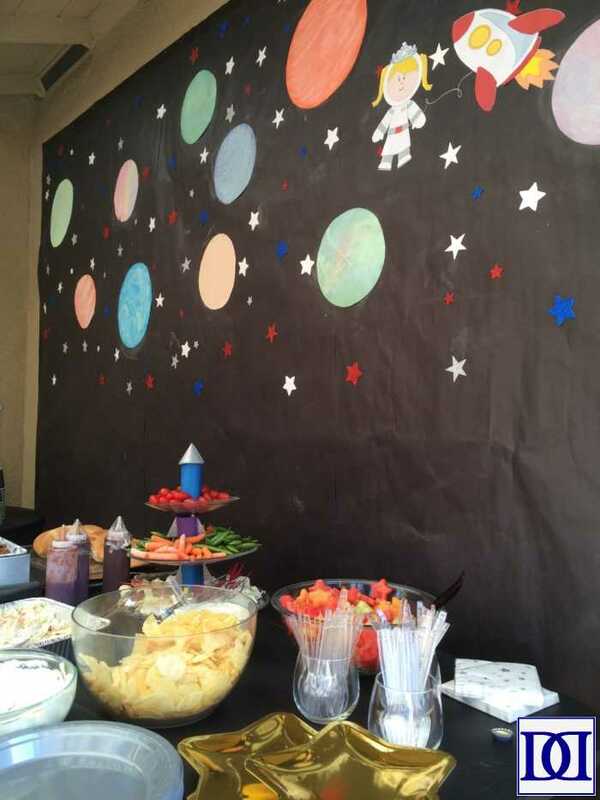 For this party, we used black paper, Dollar Tree stars, and wire star garland to dress it up for the Astronaut Princess and her friends. My daughter thrives on “projects,” so for her birthdays, we try to provide several craft projects for her and her friends as entertainment. 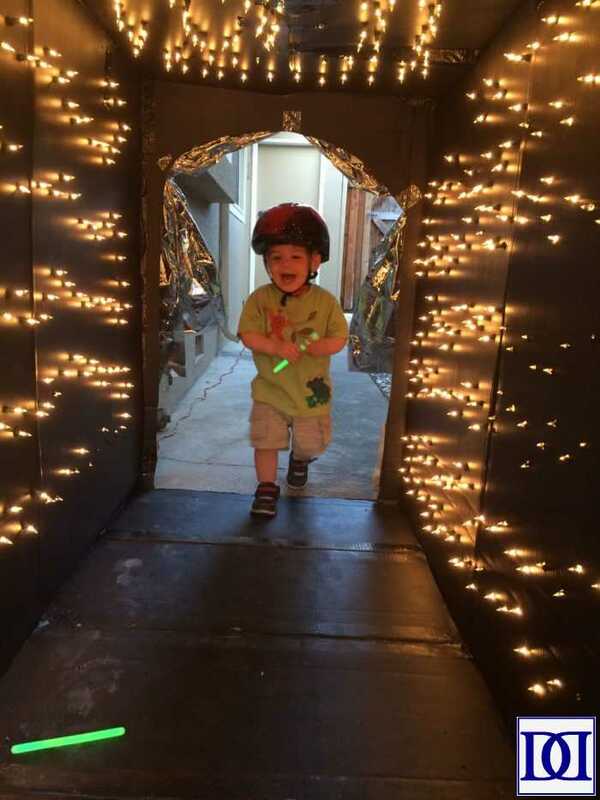 Two of the first ideas that we came up with were these cardboard rocket ships for the kids to decorate and this outerspace tunnel. If you’re curious how we developed the idea and executed it, please check out my post here. For the more physical kiddos, I pulled out our bouncy house and had a slew of balls available to bounce in the house or outside of it (sign available here). 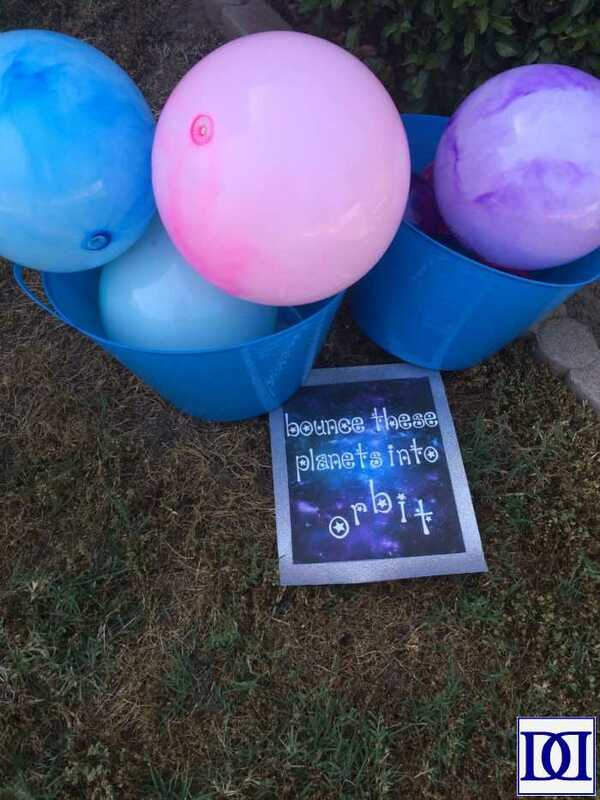 Since one of Jenna’s fascinations with outerspace is stars, I wanted one of our “stations” to be star-focused, reality-based, and kid-friendly. Fortunately, this pretzel-marshmallow constellation craft is an AWESOME nexus of these goals! 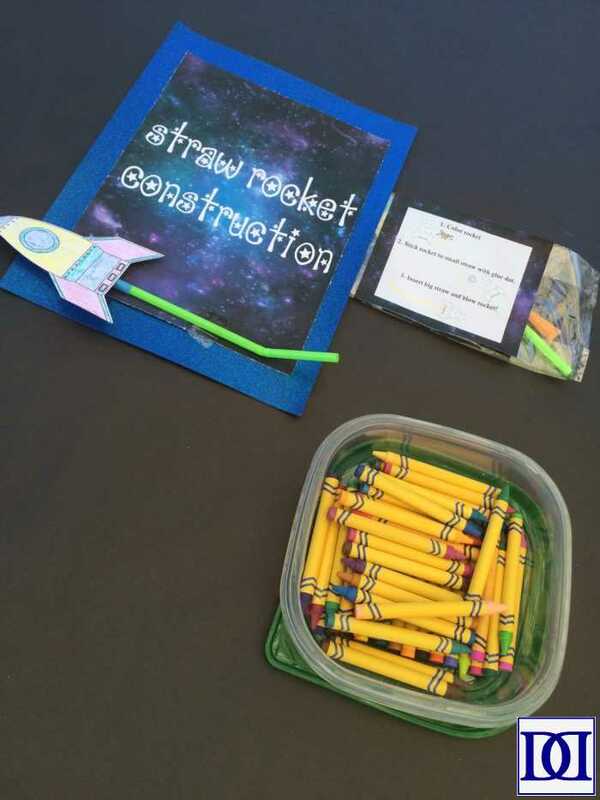 We also had a station for these straw rocket packets, but we ended up needing the table for seating, so we merely added the project to our small guests’ favors (below). 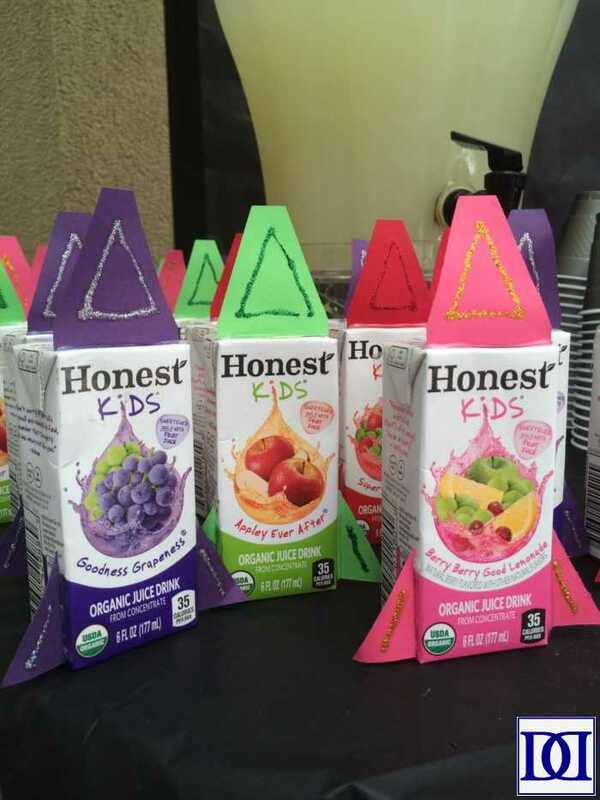 Even though favors are starting to be discouraged as over-indulgent (for both host and guests), I still like them as a way to bring the party home for kids and to provide additional distractions for kids who may need it. Jenna and I enjoyed coming up with favors that excited her and would be age-appropriate for guests of various ages and stages. 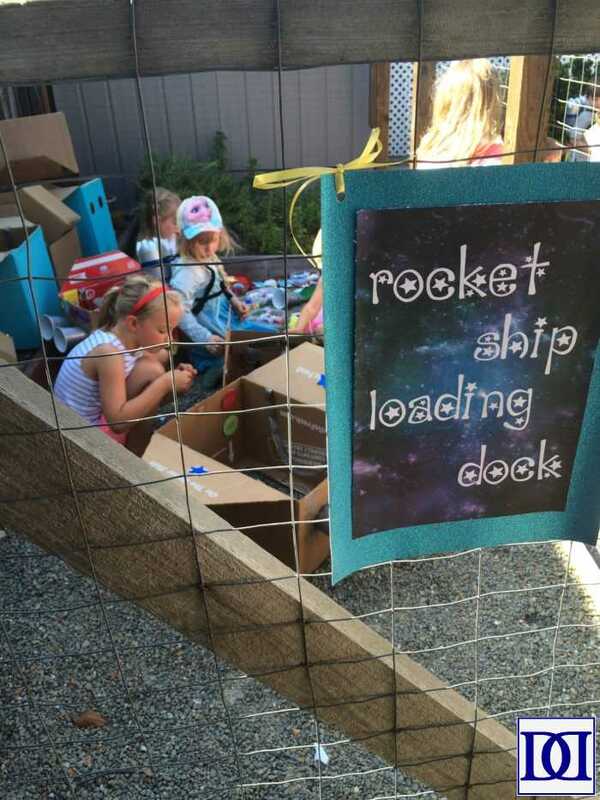 We filled our rocket ships with homemade slime or playdoh, stickers, and age-appropriate “moon rock” snacks (sweets, yogurt covered raisins, or star-shaped puffs). Since we weren’t able to get to them (and I’d already individually wrapped them), we added the straw rocket packets as well. 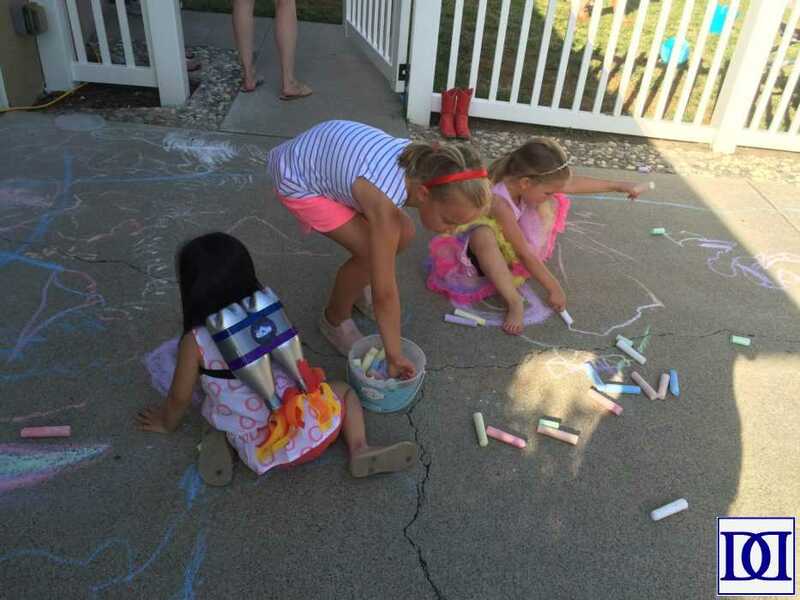 These projects, along with backyard toys, a sand pit, sidewalk chalk, and a playpen full of crawler/baby toys meant that guests of all ages and temperaments had something to do (which, in turn, meant that their parents could talk, eat, and be merry). 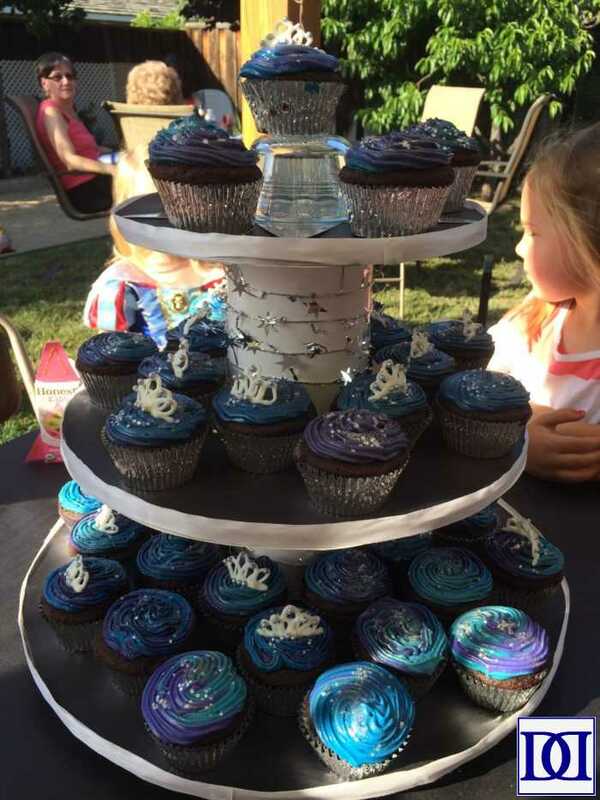 All in all, a successful and thoroughly enjoyable party for our newly minted 4-year-old astronaut princess! 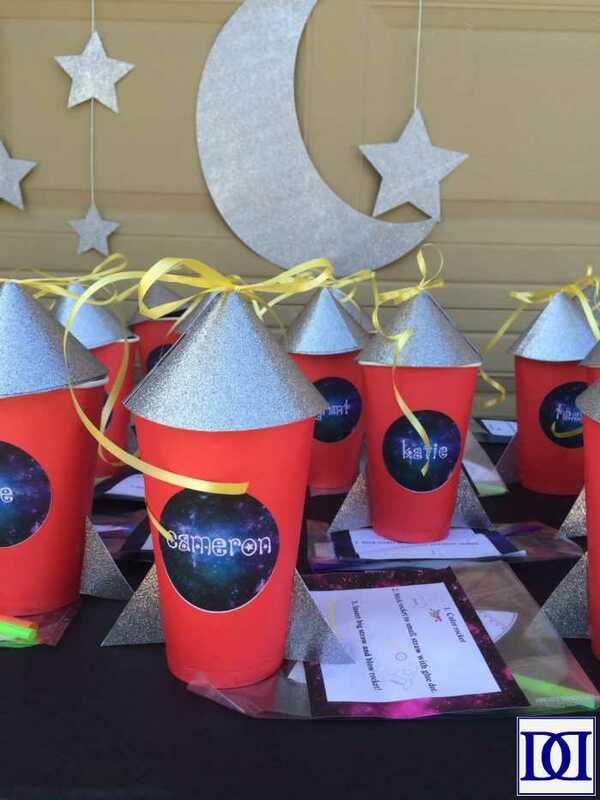 Whether you’re throwing your own galactic party or looking for ways to entertain kids with space-themed crafts, I hope you found some useful ideas here!